We’re a better team than England! Last Wednesday was an extraordinary day. Firstly the elation that Harry Redknapp’s jury had acquitted both him and Milan Mandaric on all of the charges brought against them and then the resignation of Fabio Capello followed by the Nation getting behind the “Harry Redknapp bandwagon” for next England Manager. These are troubling times! The Spurs fans for making the Wigan game the most moving in his life following the continual chanting of his name during the match. In due course we shall discover how supportive Harry will be in return or whether he will choose to walk away from the best team he will ever manage to take over, in the main, a bunch of under performing players mostly of the precious variety. Those believing Harry can make us world beaters ought to wake up and smell the coffee. At White Hart Lane it’s a Croatian, a Dutchman, a Welshman, a Cameroonian, a Frenchman and an American ably backed up by Kyle Walker and Scott Parker who has got us third in the Premier League. If the Togolese bloke could stick them away we might even be higher. So could he do it with our national side? I don’t think so. Capello has done a tremendous job in my opinion but he hasn’t got enough talent to work with. We can’t keep possession of the ball for a start by passing it well enough and some of the players haven’t worked hard enough. The return of Gerrard is most welcome but the ground swell of opinion to ditch the old guard and stick in the kids makes winning the hardest competition in the world impossible. 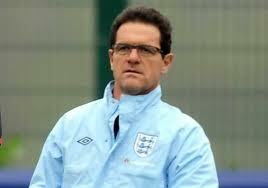 Capello is no mug and could see what was being whipped up against him. He knows the work ethic these guys have and the conclusion to draw is that we’re going to make a balls up of this job. Whether we like John Terry or not he’s been a great leader at Chelsea so if the FA want rid of him they need to clear it with the Manager first. After all he put him back in charge after it was taken away from him previously. The problem was Terry has no understanding about doing the right thing. He could easily have stood down but tried to tough it out and no one seemed to step forward and provide wise counsel to him. If I was Capello and leaving the job following the tournament I would go with the players I know and leave the youngsters to the successor. We’ve seen at Spurs this season that you can’t get away with a lot of youngsters in the same team. One or two yes, but not a whole lot. Firstly, tactical awareness – the one thing everyone points to a lack off with Harry when it all goes wrong. Certainly, many felt the Champions League campaign fell apart as a result of it. Secondly, to be able to deal well with the substitutions and have a couple of creative players on the bench. Again, an area for which the Tottenham manager picks up loads of criticism – just look at twitter during most games! And as for a couple of creative players on the bench; we could do with a couple on the pitch first! Thirdly, someone who is good at man management. I agree that Harry would be fantastic in this area but its one thing getting Luka, Gareth and Rafa in the right place when you are working with them every day but every four months and in a tournament every other summer. Very tricky indeed. If Harry is that successor then he gets the responsibility of moving the old guard on. The thing that makes him attractive is that he knows all of the old guard as most of them were at West Ham during his tenure. Therefore he could get something out of them. But what of those coming through? There is a clamour for Oxlade-Chamberlain and in time that is appropriate but Walcott was thrust into the limelight too quickly and it hasn’t done him that many favours. Dalglish has spent heavily on young English talent and frankly he’s wasted his money. Carroll has been poor. Downing is the player we always worried he would be when we were linked to him and Henderson has been pretty awful which was shown in some examples in yesterday’s games at Old Trafford. Of those English players who moved in the summer only Ashley Young has definitely improved. Phil Jones has done OK but has not bedded down a fixed position for himself yet in the Manchester United side. I saw the Sweden game and it was pretty dire. I fancied if Spurs had played either side that night we could have won such was the quality on show. The trouble is that blooding youngsters in the Premier League can cost points and our player pool is diminishing rather than increasing leaving any future international manager with a team that is likely to fall down the rankings. Our problem is that many of our squad are not guaranteed starters at their clubs and if they are is the club playing in the Champions League? Take Gary Cahill who Chelsea moved heaven and earth to get. He was forced to sit on the bench while he learned the system. I thought Chelsea were trying to shore up the back and stop haemorrhaging points but maybe that wasn’t the purpose. Either that or he wasn’t good enough? So Harry, it is a great way to finish your career as the England Manager. But at the present time you’ve got a fantastic team at Spurs who can come from wherever in the World you fancy, you can work with them every day and next season we are hopefully going to be in the best tournament. If you don’t accept the role now is that it? I don’t think it is. I cannot see any other English manager coming through who would take it in say four years time and by then this Spurs team will have moved on a bit and you may be ready to take the reduced role that an international job would bring. As you said yourself the investigation that culminated in the court case was already ongoing when you were appointed. As a result you haven’t really had a chance to enjoy the job yet. If you can get this much out of the players with a scrambled mind then what could you do with your full powers of concentration? Give us a couple more years H’ I fancy you’ll pick up some silverware. After enduring games against Watford and Wigan when the team, rather than the Manager, played like it had a prison sentence hanging over its head we regained our composure with an excellent defensive display at Anfield and a stupendous first half performance against Newcastle at Whit Hart Lane last night. As we appreciate sport at the very top level is all about confidence and having a clear head and that really shone through against Newcastle. Maybe it was the manner of the loss at Man City but it seemed more of a “got something on my mind” situation. What’s more deadline day eyebrow raiser Louis Saha took 20 minutes to equal his haul for Everton this season with two well taken goals as we ran though a Newcastle team that took two mandatory counts in the first six minutes. You have to feel sorry for Defoe sitting on the bench looking on but for me Saha showed all that Pav didn’t for the majority of his stay at the Lane and certainly increased our options for the remainder of the season. To be truthful I didn’t see all of the Watford game but in the second half action I saw we looked like the Championship side and without Kaboul could have been out. I had heard Rafa’s goal on radio commentary whilst driving and was shocked when I saw how far out he had been when he hit it. Thankfully we progress to the next round but if we don’t play better it could be interesting. Next up was Wigan in a game which we took all of 20 minutes to get going in. Yes, a comfortable win but Wigan were so bad in the first half that they should have been lucky to get nil yet ended the game looking for a second. Having said that the goals when they came were wonderful. Modric’s deep chip across the box to Bale was delightful and Gareth took it brilliantly and despatched it for 1-0. Modric then got in on the act with a well hit shot from the edge of the box to give us a 2 goal lead at half time. In the second half Bale scored another excellent effort but to be honest the Wigan men were like subbuteo men sitting off him and allowing him to strike his now trademark left edge to right corner shot. Wigan’s consolation came from a looping deflection but at a time when we should have been inflicting further goal difference improvement upon them and as I said earlier they then pressed for a second. To be fair we did introduce all three subs including a debut for Cameron Lancaster who worked hard to get into the game so the team ended a little disjointed with Livermore having to drop to right back in place of Walker. He himself had been a sub coming on in the first half to replace Rafa who had ended up sitting down on the half way line and throwing his shin pads away in frustration. This time it was a calf injury for Rafa rather than the usual hamstring and he didn’t make the Liverpool or Newcastle games. That could have presented a problem as Anfield has always proved a difficult place to get a result and our bench on the night showed how stretched the squad had become. Saha and Rose, who got on, plus new boy Nelsen, Khumalo, Luongo and Lancaster. However, a stirring display gave us a creditable point with Dawson and Parker being outstanding. We also had a chance on the break during the second half which Bale unfortunately scuffed straight to Riena when he maybe had a little more time. Suarez was available but despite not being called upon to practice his handshakes got on after an hour and within minutes had planted a kick into Parker’s midriff. After the Manchester City game I suggested that Ballatelli might have been unlucky when standing on Parker but for me this Suarez incident was similar to the Lescott one. Is it important to make it look as bad as possible so that you get away with it? I suppose it is as that is how Stoke have got used to going about their work. Some years ago Drogba fell down for fun but then for no apparent reason stayed on his feet more and earned more respect for showing the player he is. Suarez certainly needs to take that wise counsel as he looks a good player who is too keen to win at whatever the cost rather than by exercising his skills. And so to Newcastle, with Lennon and Defoe returning to the bench, and a first start for Saha. Newcastle’s error may have been to try and give us a game for their early attack was cleared and suddenly Benny turned up on the far post to turn in Adebayor’s cross to light the blue touch paper with his opener. We’d hardly sat down before Adebayor crossed from the right for Saha to arrive perfectly and prod it home past Tim Krull sending us into raptures. Newcastle weren’t done and tried to come back at us but Dawson and King were solid at the back setting Luka back into possession from where he orchestrated further damage with a second for Saha and then Kranjcar making it four before the break. An early goal in the second and it could have been 10 but to Newcastle’s credit they battened down the hatches and did well in closing the game down. We still had plenty of second half possession and missed a couple of chances before Adebayor turned home a Saha header in spectacular fashion to add a goal to his 4 first half assists. In many ways this result is what could have happened in a number of games had we put away our chances and what looked good was the way Saha and Adebayor worked together. Defoe did get onto the field and had a few runs but nothing opened up for him to remind Harry of his talents. 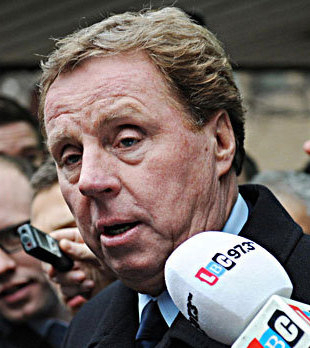 Both Wigan and Newcastle were a big reminder to Harry of the affection with which is currently held at White Hart lane. Last night he was bombarded with a continual outpouring of emotion from all sides of the stadium asking him to stay and continue managing this team. The team were fantastic last night so Harry had little to do. Unfortunately a problem with a plane prevented Harry from travelling to Liverpool but had he we might have played better in the second half. His work will be cut out from now till the end of the season in our games at White Hart Lane. Whilst Manchester United will come out and play Stoke, Swansea, Norwich, Blackburn and Fulham will no doubt have taken heed and unless we can open them up early doors we face further 10 men back games to avoid further goal fests. Before then its FA Cup and then that lot up the road. That promises to be some game. Day 2 saw a full day of evidence from the prosecution over primarily the first lodgement into the Monaco Bank Account named “Rosie47”. It also brought the first disparity between the two defendants over the reasons for the transaction. The first of these payments, $145,000 related to transfer of Peter Crouch to Aston Villa. 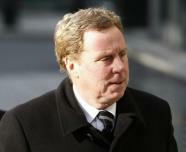 Portsmouth made a profit on this transfer and as director of football Harry was entitled to 10% of the transfer profit. When he replaced Graham Rix and became manager of the club this entitlement dropped to 5%. Previously Harry had revealed this in the press and that he had asked for the balance of funds. The BBC have reported that Harry’s share was £115,473 but based upon what Harry suggested that this would have been £150,000. My thoughts on this are two fold. Firstly, why are we talking in dollars? The transaction was an English one and therefore would be by reference to a contract of employment with Portsmouth Football Club. Dollars only become relevant because Mr Mandaric had the money he used to make these payments offshore. If one were to reduce a sum of £150,000 for tax and National Insurance you would end up with a minimum net sum of approximately £88,500. Could this mean that Harry felt tax had been paid on the money as he got £93,100? Certainly if he is the tough businessman that the prosecution are portraying him to be he would be expected to know if he had been robbed; after all he had pointed this out to Mr Mandaric in the first place. Secondly, if the money was the subject of a payment relating to a contract of employment then the sum should have been taxed under PAYE by Portsmouth Football Club. It would not matter how the payment was made, either within or outside of the company, PAYE would still be due. What would be needed, if the payment was outside of the business, would be for the Company’s accounts department to be advised so that entries could be made in the records to show an increase in Mr Mandaric’s loan account so that the profit and loss be charged with the bonus payment securing tax relief for Portsmouth. Between the defendants Harry says it is a contractual payment, describing it as a bonus. Mr Mandaric appears to be suggesting that it was an interest free loan or an investment to help a friend out and therefore outside of the tax regime. It would also appear that the prosecution are relying upon transcriptions from the former newspaper The News of the World. When it comes to the defence of the case it will be interesting to see how both men defend this point as it will be critical for Mr Mandaric’s defence. In this area he, as Chairman and owner of Portsmouth, would appear to have more responsibilities towards the Crown to make sure that things have been done correctly. We also learned that Harry had suffered a civil investigation from HM Revenue & Customs over a two year period relating to an amount he received over the transfer of Rio Ferdinand. This was described as a “gift” by Harry when completing his forms but appears to have suffered tax after the enquiry. Gifts are a difficult area and of one receives it by reference to your employment then HM Revenue & Customs would press for tax and National Insurance. It appear that is what happened in this case. Part of this procedure might have included completing a statement of assets which would include disclosing all of the bank and deposit accounts held at two particular dates. A failure to disclose an account or completing it inappropriately at a later date is looked upon unfavourably by the Crown and will no doubt be referred to often during the trial. This looks bad on Harry’s record and he will have to give some very strong reasons for the omission when the time comes. This failure to disclose, even if the Rio investigation period was much different, came at a time when an opportunity came to make a clean breast of things. If he thought the funds had been taxed that might be one thing but the interest received? It seems that Harry had forgotten of the accounts existence. What might Mandy Rice-Davies have to say about that? He should have been prepared by his legal team to have the book thrown at him over this failure. It could prove to be close to a red card issue. So the day concludes with the prosecution continuing to give evidence. Elsewhere it has been a disappointing day with a winding up order being made against Portsmouth for failing to pay £1.6m of tax. Clearly this demonstrates that whilst Portsmouth might be underfunded for its current operations by its owners that having football creditors paid in full does and will not work in the future and therefore must be changed. I cannot say whether any of these football creditors have been paid but from memory one name that was on the list was, yes you’ve guessed it, Peter Crouch. The same man who was let off for an eye gouging offence last weekend. The poor man can’t keep out of the news. Daws scores our first against Reading 1/1/2013 from a corner! NY Resolution? No home should be without it! Small reactions don’t matter Andre – time for change? Now hang on a minute Andre!